After 45 years of experimenting, Mr. Han Wai Toon who came to Singapore in 1915 managed to produce highly sought-after rambutans in his 2½ acre estate in Old Thompson Road. By combining the sweet and firm Sumatran strain with the juicy Batavian strain, he successfully turned the once sour fruit into something tasty. Mr. Han also had a rambutan tree which bore bright red rambutans on one side and pale yellow ones on the other, which he used to amuse his friends. We are planning to search for this mysterious ‘Han Rambutan Orchard’ and hunt down these rambutan trees. Do you know anyone who visited this Orchard? 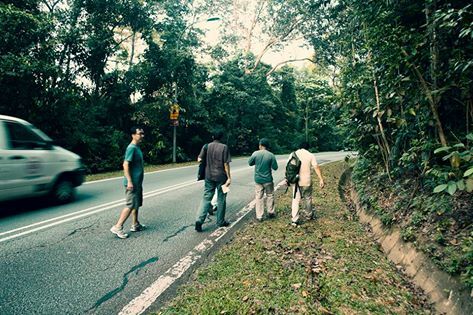 The search for Han’s Rambutan Orchard from the 1960s in Thomson Road leads us to an essay written by Lai Chee Kien, “Rambutans in the Picture: Han Wai Toon and Overseas Chinese Space in Singapore”. 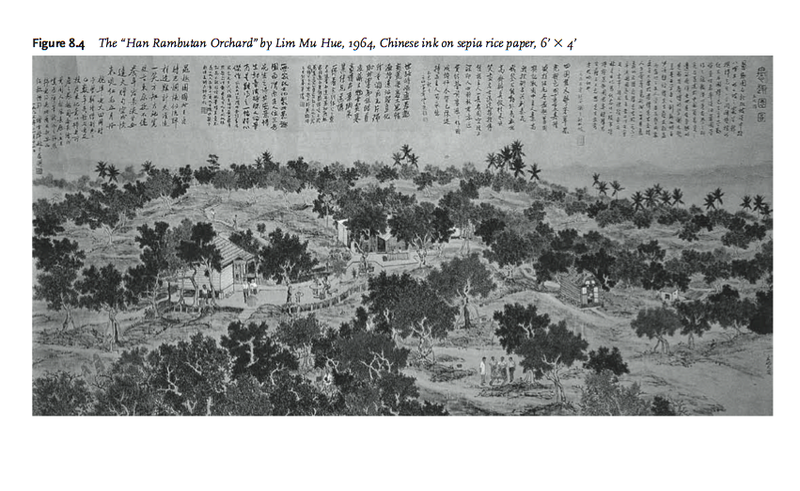 According to Chee Kien, this Rambutan Orchard not only produced famous sweet Rambutans by grafting various species of Rambutans together. His orchard was also called 愚趣园 (Yu Qu Yuan) which also become a place of leisure and art appreciation in 60’s for the famous art personalities at that time. His visitors and friends include the poet Yu Da Fu and the painters Xu Bei Hong & Lim Mu Hue. We are looking for this place with a map that is a painting by Lim Mu Hue! This is also Chee Kien’s second time looking for the Orchard. We believe several of the grafted Rambutan trees still exist in this area and the landscape, which is one of a slope, seems likely that the Orchard existed here. Singapore, (very old tree) c.1904 Image courtesy of The National Archives, Singapore. Singapore, very old tree is named after a mysterious 1904 postcard from the national archives. 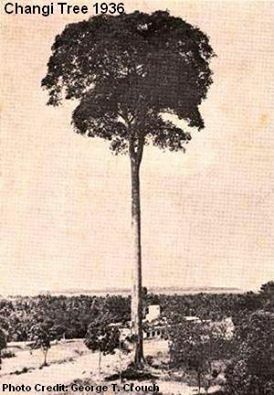 It features a tall tree about which very little is known. 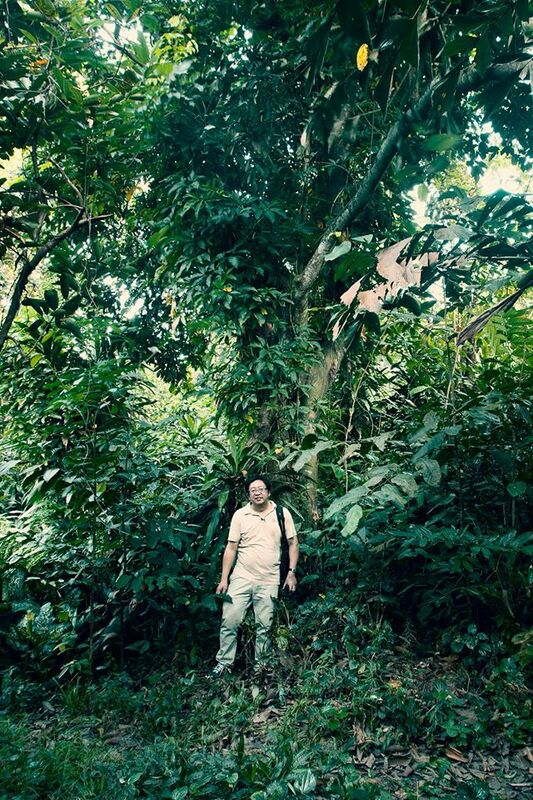 If you look carefully, you can see a man standing below the tree to the right to show the sheer size of this tree. This tree, among many other tall historical trees have disappeared over the years but there are many that are still around. Many students in the School of the Arts (SOTA) in Dhoby Ghaut would be familiar with the big tree that protrude out of their stone steps. 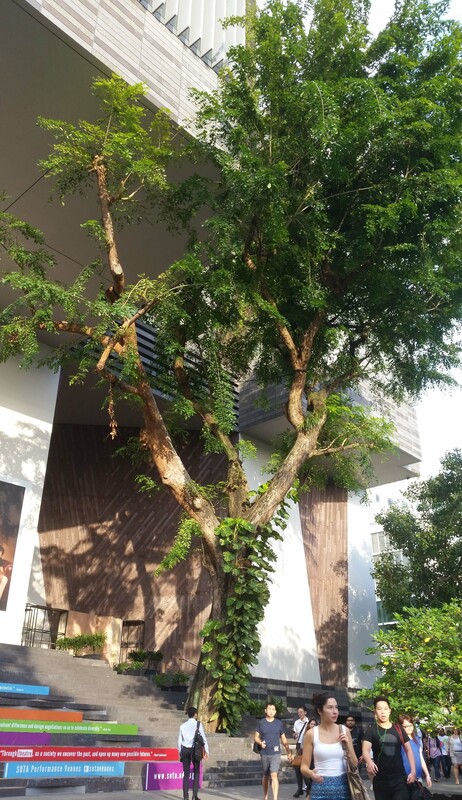 Despite being a matured tree, it has outgrown its original height and can now be seen creeping up to the 5th storey of the school building. 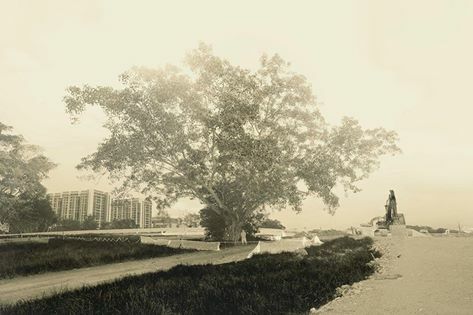 Estimated to be more than 60 years old, this grand old tree was spared alongside a Bodhi tree in the construction of the school. 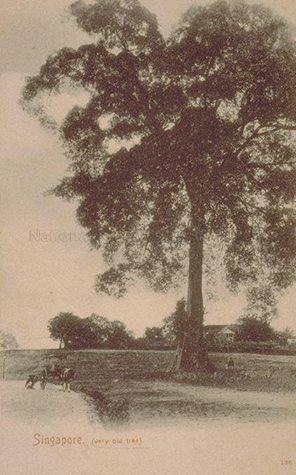 Founding principal Mrs. Rebecca Chew had proposed to keep the tree to preserve some greenery for SOTA, which being a school in the city centre, had no field. In 2010, a branch fell off the tree, but thankfully did not hurt anyone. As Mrs. Rebecca Chew remembers, the fire engine that arrived on scene that day sank into the pedestrian pathway, because the new road couldn’t take the weight! She herself also has fond memories of seeing a family of squirrels and migrating swifts roost in its branches. 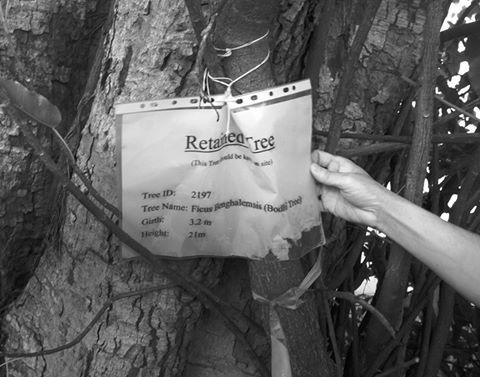 We found this Google map which details the location of saga trees found in Singapore and have just gotten in touch with its creator. Met Mr. Low See Chuan who created a map of all the sage trees in Singapore since he started collecting the seeds with his family 10 years ago. Every time they add new seeds to their collection they do a tally on a slip of paper. At last count the total was 3271! 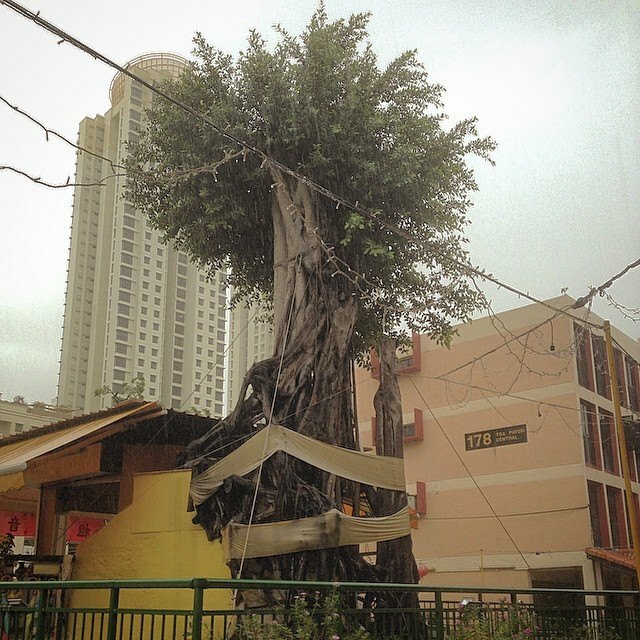 What we saw this morning of the well-loved Toa Payoh god tree at Blk 177. This once majestic banyan which pre-dates the Toa Payoh development used to stand 6 storeys high until it was struck down by lightening in September last year, crushing 6 cars. Residents who witnessed the incident said the tree fell slowly and “chose its direction” so no one got hurt. Mr Chen Zhou Rong, 53, caretaker of the shrine and son of the monk who brought the statue of Goddess of Mercy here, used to sleep under this tree. He has since moved away, despite pleas from residents for him to “stay and protect the god”. 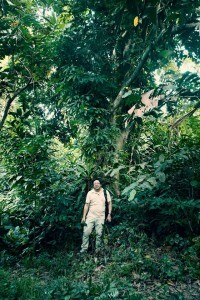 This was a 76-metre Sepetir tree that rose high above the relatively flat ground of Singapore. 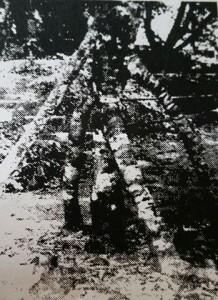 It was felled by the British in 1942 to prevent the Japanese from using it as a landmark during WWII. 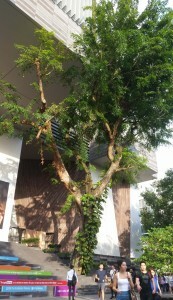 In 2001, STB planted a Sepetir sapling at the opening ceremony of Changi Chapel and Museum to recreate this “Changi Tree”. This replacement tree is still there now outside the cafeteria and so does not feature in the in-house museum tour. Strange how it’s just left standing there almost forgotten. 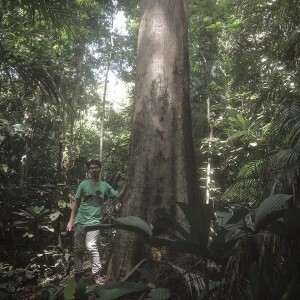 We begin our first post for the search of the tallest tree in Singapore here at the central catchment area! 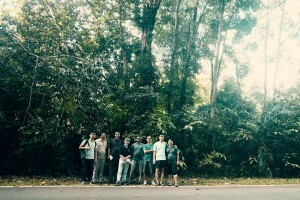 There’s a primary forest here that still keeps some of the oldest residents here on our island! We met this giant 45mins from the trail with a girth of 6.8m and as high as 40m, that’s the height of a 13 storey building. 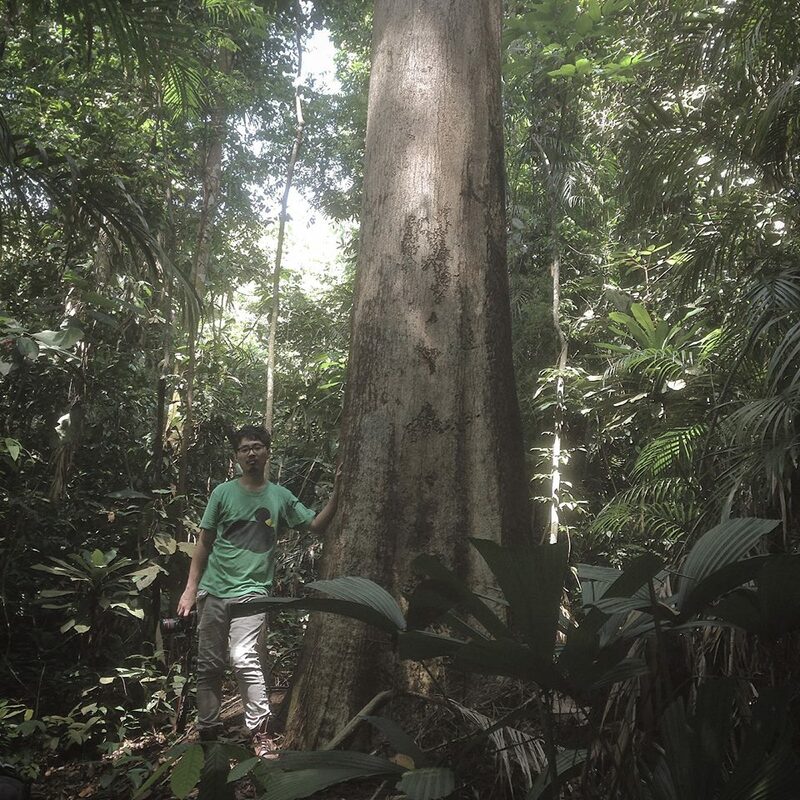 Estimated to be more than 150 years old, this tree might be just a mere sapling when Alfred Russel Wallace visited Singapore in the 1850s.